Alton Crippen and Orrin Bailey leave for camp next Saturday morning, July 8th. The Rev. D. J. Griffiths will leave New York this Wednesday evening for Mountain Ash, Wales where he will visit his mother, Mrs. Elizabeth Griffiths. The drama entitled "Short Thirty six" was a success, both financially and as a play. There was also plenty of good music. This play may be repeated at some later date, as two of the cast, Alton Crippen and Orrin Bailey are in camp for two weeks. Dr. Devere Ritchie of Harrisburg, who is spending his vacation at Lake Nephawin, spent Monday with Mansfield friends. Mrs. D.W. Baylis, who underwent an operation Friday in the Arnot-Ogden hospital, Elmira is reported to be making a splendid recovery. Dr. and Mrs. H.G. Meaker and daughters are attending the exposition in Chicago. They will also visit Dr. Meaker’s sister in Denver, Colo.
Edward Cornish and Misses Louise and Kathryn Cornish have returned from the Fair at Chicago. At the recent flower show in Wellsboro, Sweet William from the garden of Mrs. Anna Nares at the Little Tavern, were awarded first prize. Coley Maynard, of Gillett, was badly stung recently by yellow jackets, while working on the road; he became unconscious and was very ill for the rest of the day. Dr. and Mrs. Straughn have gone to Lake Keuka, near Hammondsport, where they will spend the summer. Alton Crippen and Orrin Bailey, who have been at Mt. Gretna the past two weeks, have returned home. Alton is taking special work at the college this summer and is to be one of our teachers this fall. The Rev. D.J. Griffiths, who has been spending several weeks with his mother, Mrs. Elizabeth Griffiths, in Mountain Ash, South Wales will leave for his home here today. Mr. and Mrs. George Myers and Mrs. D.J. Griffiths motored to Philadelphia, where they visited Mr. and Mrs. Arthur Griffiths, going from Philadelphia to New York, where they met Rev. Griffiths Tuesday night on his return from spending several weeks with his mother in Mountain Ash, Wales. Mrs. John Bailey has received word that her sister has arrived in Norway. A broken ankle prevented Mrs. Bailey from making the trip with her. Mr. and Mrs. Cyril Nagle of Plandome, N.Y., have purchased Mrs. Antoinette Lily’s home on East Main Street. Mrs. Clifford Sherman, Mrs. Harry Sherman, Mrs. Harlan Sherman and daughter, Yvonne, are spending the week in Rochester and Auburn. Mrs. Charles Stevens and children, Charles and Joyce of New York are guests of their cousin, Mrs. Lily Bailey. Miss Arlene Curtis is spending her vacation with her sister, Mrs. Lewis Whittaker in Elmira. Dr. and Mrs. H.G. Meaker and three daughters returned Saturday from an extended trip to Century of Progress in Chicago and Denver, Colorado, visiting Dr. Meaker’s sister, Mrs. Ida Meaker Husted and family and Frederick Hughes and family. Dr. Russell Meaker Husted returned with them for an extended visit. While in Denver almost 2000 miles of Rocky Mountain scenery was enjoyed and 5000 miles completed the trip, visiting twelve states. The drama, "Short Thirty- Six", given in the Methodist church last Saturday evening was a success financially. It netted the sponsors $29. This was given for the benefit of "Old Home Day" instead of the usual dance. Well, "Old Home Day" has come and gone. The day was perfect and about three hundred attended in the afternoon. The "Sears Roebuck Hill Billies" furnished the music. They are heard daily from the Elmira Station WESG, and are very good. A few faces from distant points were noticed by the writer: Mr. and Mrs. J.M. Cook of Buffalo, N.Y; Mr. and Mrs. Melvin Cook of Nyack, N.Y; Mr. and Mrs. J.H. Wilcox and son, Jack of Batavia, N.Y; Mrs. Jack Buchanan of Binghamton and Rev. Will Walker of near Buffalo; Mrs. Mary Soper Whispel of Williamsport, and many others from near points, Elmira, Troy, Sylvania, Mainesburg, Daggett, Jobs Corners, and Rutland. Walter Osgood delightfully entertained the Advertiser force Friday evening at the home of his sister, Mrs. Charles Hager, in Richmond. The time was spent with games and puzzles and refreshments consisting of cider, pumpkin pie and doughnuts were served. Those present were Mr. and Mrs. E.S. Coles, D.L. Williams, Ward Wheeler, Melvin Brace, Chester Bailey, Walter Osgood, Misses Kathryn Williams, Inez Young, Glenna Wilson, Mr. and Mrs. Charles Hager and sons, Theodore and Homer. Some were unable to be present on account of illness. 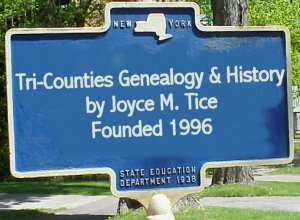 A marriage license was issued in the City Clerk’s office in Corning on Monday morning to Miss Beatrice Stickler of Tioga, R.D.3, and Harold J. Adriance of 258 Cutler Ave. Corning. Miss Lelia Brace, who has been a patient in the Arnot-Ogden Hospital in Elmira for the past two weeks, submitted to a third operation for the removal of an abscess from her lungs Monday. Her condition is reported as favorable. The marriage of Miss Winifred, eldest daughter of Mr. and Mrs. Geo. Crippen, to Lloyd Kranz, all of Bath, was solemnized by the Rev. Daniel D. Brox at the parsonage of the Centenary Methodist Church of Bath, on Saturday afternoon. 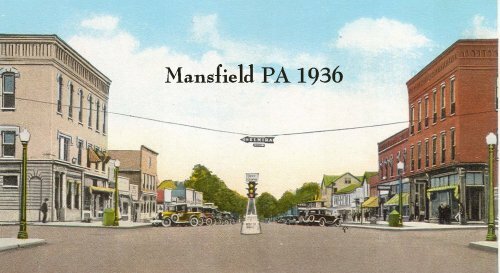 The bride’s parents are former residents of Mansfield. Miss Mary VanDusen is a student at New York University. Gerhardt Peterson is unable to attend school on account of illness. Miss Reva Rarick is saleslady in the Abrams Variety Store. Miss Anna Doughton is teaching in the high school at Liberty. Miss Hilda Day has purchased the Charles Thompson house and lot on South Main Street. Leigh Allen, New York, is visiting his mother, Mrs. Myra B. Allen, and sister, Mrs. John H. Doane. Corp. Thomas J. Betsko of Hazleton has joined the highway force in Mansfield. Corp. Betsko has been transferred from Hazleton to take the place of J.P. Koche, who has taken a position with the State Liquor Control Board at Wilkes-Barre. Mr. and Mrs. Albert Kerzesmacher of New York City visited his sister, Mrs. Lily Bailey, Monday evening while enroute from their honeymoon spent in Florida. Miss Josephine Smith who is in training in the Jefferson Hospital in Philadelphia is spending her vacation with her grandmother Mrs. Anna Nares. Mrs. Ida Cruttenden is helping to care for Mrs. George Allis. Mr. and Mrs. John Bailey and son, Carl, Mr. and Mrs. Henry Fralic and son, Robert, and Buddy Gibson, of North Carolina are on a fishing trip to Canada. Rev. R.L. Hall was calling on friends in town Friday. Dr. Daniel Preston who was injured in a motor accident last Wednesday evening with Dr. Jaquish is improving, although suffering also from the shock of the death of his cousin, Dr. Jaquish. It will be several weeks before he will be able to leave the hospital. Miss Beatrice J. Geary, supervisor of home economics in the Mansfield High School, has been elected secretary and treasurer of the Pennsylvania Home Economics Association. Mrs. Emma Porter, Floyd Beach and daughter, Margie, and Martin Faulkner of Mansfield and Jacob Stout of Washington, D.C., visited Mrs. Floyd Beach Sunday at the Packer Hospital in Sayre. Mrs. Beach, who underwent an operation for goiter two weeks ago, returned home Tuesday. Dr. J.J. McMillen a graduate of the University of Pittsburgh in dental surgery has taken over the office and practice of the late Dr. Joseph P. Jaquish. Dr. McMillen is a son of Mrs. William H. McMillen of Corning and a graduate of the Corning Free Academy. While a student in the Academy he was prominent in athletics, and played with the basketball team in games with Mansfield. Miss Gladys Schwab underwent an operation for appendicitis last week at the Arnot- Ogden Hospital, Elmira. Miss Leone Rose underwent an operation for appendicitis last Wednesday at the Packer Hospital, Sayre. The U.S. Army Band, under Capt. Wm. J. Stannard, will broadcast Dr. Will George Butler’s full military band march composition, Ad Astra, on next Monday afternoon, August 20, over the NBC network during the hour of music from 5:15 to 5:45. Mr. and Mrs. Lee Clark and daughter, Rae Lucile, who recently returned from California, spent the weekend with Mrs. Lily Bailey. During a recent thunderstorm, lightening entered the home of Mr. and Mrs. Judd Schofield on the Wellsboro road and put the radio out of commission, set fire to the granary, and shocked Mr. Schofield who was in the barn nearby. D.L. Williams and Chester Bailey attended the field meet of the Chemung County Sportsmen’s Club held at Chappee Field near Horseheads, Sunday. Prof. Leo J. Bailey has been elected as supervisor of vocational agriculture at the Canastota, N.Y., high school. Prof. Bailey is an alumnus of M.S.T.C. and also Penn State. For several years he was supervisor of agriculture at the local high school. For the past two years he has been employed by the General Baking company in Philadelphia. He has many friends in Mansfield and vicinity who wish him success in his new position. Miss Sara Holley is teaching in the school at Alder Run. Miss Mary VanDusen will broadcast a program of piano music over WESG, Elmira at 1:15 on Fridays. Miss Ruth Youmans and Viola Mudge, who recently graduated from the Robert Packer Hospital School for nurses, are visiting their parents, Mr. and Mrs. Thomas Youmans and Mr. and Mrs. G.C. Mudge. Jack Larrison is taking a course in hotel management at the Lewis Training School in Washington, D.C. Mr. Larrison graduated from the Mansfield Senior High School last June. Mrs. Percy A. Coles was called to Dallas, Pa., Saturday evening by the sudden death of her father, D.C. Lauderbach. Edward son of Mr. and Mrs. Chas. W. Ross who has been seriously ill at the Arnot-Ogden hospital is rapidly recovering. He returned home Monday. Miss Winnie Langdon was stricken suddenly ill Saturday afternoon at her home on First St. Reports this morning were that she was slightly improved. Her many friends sincerely hope for her speedy recovery. A flock of twelve airplanes passed over Mansfield about 11:30 this morning. They were closely followed by a tri-motor monoplane. Mrs. John H. Doane is a patient in the Blossburg Hospital, where she is recovering from an operation for appendicitis performed Thursday. New employees at the Mansfield bakery are Orrin Bailey, Elmer Geiger of Mansfield; Frank Wolfe of Bellefonte and Dean Rumsey of Daggett. Mrs. Marie Geiger and son Elmer of Mansfield and daughter Marion, of Elmira and Mrs. Ruth Hendricks of Mansfield spent Thanksgiving with Mr. and Mrs. W.B. Smith. Stacy Coles, a student in Columbia University, New York, accompanied by Frank Swanson, of Dallas Texas spent the Thanksgiving recess with his parents, Mr. and Mrs. Edwin S. Coles. Miss Connie Belknap, a student at Denison University, Granville, O.; Mr. and Mrs. William Randel and Miss Kathryn Belknap, of New York City, are spending the holidays with their parents, Dr. and Mrs. A.T. Belknap. Mrs. Emma Porter entertained the following at dinner Monday evening: Mr. and Mrs. Charles Reed, of Elmira, Maurice and Allie Baker of Sayre, George Porter of Wellsboro, Mr. and Mrs. Floyd Beach and three children and Mrs. Fred Shepard and two daughters of Mansfield. Miss Allene Allis, who teaches in Lincoln Park, N.J., and Ellsworth Allis who teaches in Hallstead are spending the holidays with their parents, Mr. and Mrs. A.T, Allis of Lambs Creek. Mr. and Mrs. Daryl Shaw of Camptown and Robert Shaw of Wyalusing were Christmas guest of their parent, Mr. and Mrs. Earl Shaw. Other Christmas day guests at the home were their daughter, Miss Laree Shaw and Mrs. Shaw’s father, Eugene Brace of Mansfield. Nineteen Mansfield families were presented with a nice new yellow measles sign Christmas morning by Health Officer Merle Garrison. There is a total of 25 cases in the 19 families, with 9 cases reported the last week and four today, making a total of 38 new cases in the past week. Chickpox seems to have about run out of victims, as only ? new cases have been reported. Mr. and Mrs. Lloyd Straughn, of Dubois, Pa., are spending the holidays with Mr. Straughn’s parents, Dr. and Mrs. William R. Straughn. Leigh Allen of New York City is visiting his mother, Mrs. Myra B. Allen and sister, Mrs. John H. Doane. Robert Grant, supervisor of music in the schools of Waynesburg, is spending the holidays with his parents, Prof. and Mrs. Herbert Grant. Robert Alger, who teaches at LeRaysville, is spending the holidays with his parents, Prof. and Mrs. Hugh Alger. Mr. and Mrs. L.B. Shaw expect to leave next Wednesday for St. Petersburg, Fla., where they will spend the remainder of the winter. William D. Ramsdell received a cut in the head and other bruises when he fell down the cellar stairs at his home Tuesday evening. Misses Arlene Ayres and Pauline Van Norman called on Marjorie Larrison today at the Blossburg hospital where she was taken following an automobile accident near Tioga Monday night. Miss Larrison received a cut beginning at the forehead and extending around the head. Her condition is reported as favorable. Mrs. Clifford Balch fell on the icy sidewalk on Tuesday night, breaking and dislocating her left ankle. The accident occurred in front of Mrs. Elliott’s home, near the railroad bridge and Mrs. Balch, being alone had to crawl for some distance to Shaw’s for assistance. Jack Larrison of Washington, D.C. and Miss Marjorie Larrison of the Senior High School spent the Christmas vacation with their Parents, Mr. and Mrs. Don Larrison at the Log Cabin Inn near Gaines. Harry J. Scholl of Gaines called on Mansfield friends Saturday. Mr. and Mrs. Eugene Hartsock and son spent Christmas with relatives in Bellefonte. Mr. and Mrs. Frank Magor have returned to their home in Easton after having spent the holidays with her parents, Mr. and Mrs. W.R. Cady of Mansfield. Charles Cooley brought a morning glory into the Advertiser office December 29, which he had picked at his home that morning. M. H. Shepard who has been ill is improving. Miss Beatrice Geary of the high school faculty is ill.
Fred Gaylord, who has been spending a year at the CCC camp at Watrous, has returned home. Harlan Sherman went Sunday to the CCC camp at Leetonia, where he has a position as instructor. Mrs. Dora Mudge is confined to her home by illness. Mrs. Addie Walker is visiting relatives in Corning and Painted Post. Miss Pauline Van Norman is unable to attend school on account of illness. A son, Robert Harold was born January 9, at the Meaker Clinic to Mr. and Mrs. Harold Terry. Moe Levinson is selling out his stock preparatory to going out of business. Mr. and Mrs. L.B. Shaw have gone to St. Petersburg, Fla., where they will spend the winter. Mr. and Mrs. A.H. Vosburg visited friends in Harrisburg Tuesday and attended the inaugural ceremonies. Mrs. Charles T. Baldwin, who is visiting her son, Donald Baldwin in Trenton, N.J., writes that Mr. Baldwin’s little daughter, who has been ill in a Trenton Hospital is recovering. Albert Bull informs us that sixty-two years ago next Sunday, January 20, he first stepped foot on American soil. While it has been a long time, Mr. Bull says it doesn’t seem long. Eldridge Mudge, who has been ill, is improving. Mr. and Mrs. Marcus Strange are enroute to Florida in their house car. Mrs. Stella Dyer is visiting her daughter, Mrs. Lucille Kline in Yonkers, N.Y.
Miss Gwendolyn Hendricks, who has been ill, is reported to be improving. A daughter, Yvonne Ruth was born Sunday at the Meaker Clinic to Mr. and Mrs. Chester A. Andrews of Millerton. Miss Ruth Freligh has the position of home lighting girl with the Northern Pennsylvania Power Company. Miss Lelia Brace is a member of the Preliminary class of the Arnot-Ogden Hospital training school for nurses, Elmira, who received their caps last week. Miss Brace is spending a week’s vacation with her mother, Mrs. Orville Brace. Winthrop Johns, a student at the Massachusetts Institute of Technology, spent the mid-term vacation last week with his mother, Mrs. Mary Johns. He was recently elected a member of the Theta Delta Chi fraternity, a national fraternity, one of the oldest in the country. Mr. and Mrs. Willis Benedict expect to move soon to a farm near Roseville on the Elmira road. A daughter was born February 8 to Mr. and Mrs. Robert Shaw. She has been named Joan Marceil. Pauline Matteson is recovering from injuries received in an automobile accident at Canoe Camp February 1. She is still a patient in the Blossburg Hospital. Miss Ellen Gilfoyle has recovered from scarlet fever. Mrs. Henry W. Olson is visiting relatives in Ohio. Miss Rose Judge has been confined to her home by illness. Mr. and Mrs. Hugh Cady have purchased the Winnie Langdon property on First Street. Ed Matteson has returned to his work at Charles McDowell’s after an illness of three weeks. Mr. and Mrs. L.B. Shaw have returned home after spending several weeks in St. Petersburg, Fla.
Miss Leone Rose, who teaches at Alden, spent the Washington’s Birthday vacation with her mother, Mrs. Ione Rose. A son was born Sunday to Mr. and Mrs. Orrin Bailey at their home on Academy Street. Mrs. Bailey was formerly Miss Nina Bailey. Mr. and Mrs. Frank Brown of Fairport, N.Y., spent Sunday and Monday with Mr. and Mrs. Harry Bogardus, while enroute from Florida. Mrs. John Shipman is ill.
Mrs. William E. Wheeler, son Ward and daughter Evelyn, spent Sunday with her sister, Mrs. W.J. Shepard and family in Williamsport. Albert Garlic, who has been spending the winter at the home of Mr. and Mrs. Wade Shaw on Pickle Hill, has gone to Osceola. Dr. George E. Yeomans is a patient in Blossburg Hospital. Miss Mary Lou Warters is ill at the home of her parents, Mr. and Mrs. Lee Warters on Extension Street. Mrs. Ada Rexford has moved from the Ely block to the Cruttenden block. Mr. and Mrs. Willard Gilbert have moved from the Owen house on Main Street to the Sherwood apartment. Mrs. W.H. Precit has returned after a visit with her son Roy in Elmira. Her granddaughter, Eleanor Precit returned with her. Mrs. Hilt Clark has been caring for Mrs. Samuel Smith and baby in Blossburg. Mrs. Bert Wilcox has been visiting Mrs. Emma Wilcox in Covington. Miss Mary Howe who teaches in Bradford, Pa., spent the weekend with her parents, Mr. and Mrs. Charles Howe. Thirty members of the Mansfield Young People’s Band, directed by Hack Swain, broadcast a program over Station WESG, Elmira, Sunday afternoon. The numbers included Show Boat March, Harmony King Overture, Golden Sunset March, Colossus of Columbia and Frat March. A bassoon solo by Jack Doane was especially well rendered. He was accompanied by Walter Retan Pianist. Mr. and Mrs. Lloyd Straughn of Dubois spent the weekend with Mr. Straughn’s parents, Dr. and Mrs. William R. Straughn. Miss Bertha Warters, Howard Hoskins and Mr. and Mrs. Russell Hitchcock of Endicott, N.Y., spent the weekend with Mr. and Mrs. Alfred Warters. Mrs. Lillian McKinney has gone to Nashville, Tenn., where she will spend the summer at Peabody College for Teachers. She was accompanied by Chester Bailey, who expects to study at Peabody College next year. Mrs. Maria English, 83, widow of Joseph English, died Sunday June 9, at her home on East Ave., Wellsboro. She is survived by three sons, Rock, Robert and Ed and a daughter, Mrs. Catherine Rosettie of Corning. Mrs. Harry A. Benedict of Waverly has been visiting her daughter, Mrs. Merle Garrison. Mrs. Garrison, son Lewis and daughter Ann Louise returned home with her for a few days’ visit. Donna Elizabeth Brown of Rutland and Frank C. Enderle of Elkland were married May 21 at the Methodist parsonage in Addison, N.Y., by the Rev. Joseph Webb. They were attended by Donald and Daisy Enderle both of Elkland. Mrs. Enderle is a graduate of Mansfield Senior High School class of 1933. Mr. Enderle is a graduate of Tioga High School. He also attended the Mansfield State Teachers College. Mrs. Lily Bailey and Son, Chester are spending Christmas with relatives in New York City. Miss Anna Harkness is spending the holidays with her niece, Mrs. A.A. Hufford in Philadelphia. Mrs. Kathryn Card is spending Christmas with Mr. and Mrs. Claude Palmer in Sullivan. Walter Passmore of State College spent the weekend with his mother, Mrs. Velma Passmore. Miss Mary Boyd Jerald came from her school in New Albany to spend the holidays with her mother, Mrs. Janet Jerald. Mr. and Mrs. John Youmans of Williamsport are spending the holidays with Mr. Youmans’ parents, Mr. and Mrs. T. Youmans. Miss Ruth Freligh was unable to return to her school in Charleston Monday because of drifted roads. Mrs. Morris Thompson will entertain the Thursday Club of St. James Church Thursday afternoon at her home on West Wellsboro Street. Miss Mary Swan Thompson accompanied her grandmother, Mrs. J.K. Thompson to Florida to spend the winter. Mrs. Mae Lane is ill of grippe at her home on Mann Creek. Mrs. Ida Avery is visiting relatives in Rochester, N.Y.
Mrs. Frederick Bailey of Binghamton, N.Y., was a guest last week of Mr. and Mrs. P.L. Abrams. Mr. and Mrs. E.D. Wheeler of Norwich, N.Y., have been visiting their daughter, Mrs. D.J. Griffiths. Mrs. Lily Bailey has returned home after spending several days in New York City. Mr. and Mrs. John Steinberg of Garden City, N.Y., have been visiting her parents, Dr. and Mrs. Arthur T. Belknap. 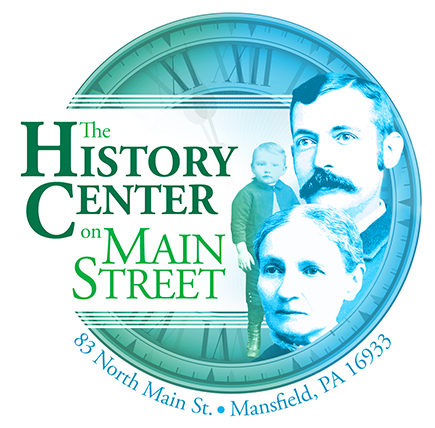 Recent guests at The Mansfield were Mr. and Mrs. George A. Bumgardner, Mrs. John C. Crawford and children, Jane Ellen and Jack of Glenolden, Philadelphia. Mr. Bumgardner is a brother of Mrs. Herbert T. Flock. Mrs. Edwin S. Coles, of Mansfield, entertained a number of young ladies at her home at a luncheon and handkerchief shower in honor of Miss Lucile N. Dyer, whose marriage to Frederick Klein took place June 30. Those present were: Mrs. Robert Wilson, Misses Pearl Wade, Vivien Warters, Frances Schipbanker, Marion Gleckler, Frances Blackwell, Doris Warters, Lucile N. Dyer and Miss Dora Ross, of Bethlehem. Covington, Jan. 30 - W.J. Ridge has bought the stock of clothing of the late Schipbanker Clothing Store, at Mansfield. Some Greek gentlemen from the Far East [New York] are getting ready to open up a candy and soda shoppe in the store formerly occupied by the late M. Schipbanker, It there is one thing that Mansfield needs more than another, it is one more candy shoppe. The College girls are often greatly inconvenienced on account of having to wait their turn at the soda fountain. A Lively Time-Business Changes-Improvements at the Park. Since the schools opened again the town is quite lively. The Business College has a dozen students to start out with, and that is good for a beginning. The merchants are getting in their winter goods. O.V. Elliott & Son will occupy rooms in the College block, where they will deal in boots and shoes as before. Allen & Pratt have hung out their new signs. A new meat market is talked of to be opened in O.V. Elliott’s brick. Great preparations are being made for the Fair. The carpenter work on the Pavilion is nearly completed, and the worker’s painting has commenced.. The building has the shape of a Greek cross and has the same area as a building seventy-five feet square. The main part extends nearly east and west with an addition in front and rear. The rear wing is divided into reception rooms, committee rooms, etc., while the remainder is all one large room. It is surrounded by a cupola, on which is a weather vane bearing the word “Pavilion.” The ladies of Mansfield have done something to be proud of, erecting this building and should receive the co-operation of a (can’t read) their work. They are to have an entertainment on the 30th instant. Let there be a full house. W.W. Bentley has built an addition to the Park kitchen, and is now constructing some sheds. M.A. (can’t read) has been doing some good work on the road, but there is more room for improvement however. “ro” (can’t read) has entered on the fourth year (can’t read) of the ? School, he is not anxious (can’t read). Political affairs are quiet here at present. There is some crowing over the “ Democratic Victory” in Maine. Queer what clerk they have. The Business College dramatic talent will produce “ The Love of Gold or Howard of Grimm” at Union Hall this evening. Measles are thick about town at present. Some of the College boys have been indulging more or less. Last Wednesday morning G.N. Welch left here for Tioga, accompanied by the Mansfield Cornet Band, to open up his store at that place. Those who went down from here report a very lively day, and from the appearance of a few it would look as if “beer” held the winning hand. Mr. Welch’s sales amounted to 1,010 for the day. Several chimneys burned out during the past week, causing some excitement. The people look out sharp for fires lately, and a night watchman has been placed on duty. U. F. Kingsley says () in all moonshine about his building a new store this coming summer and he ought to know. Next Friday evening the Normal Literary Society will hold forth in Union Hall. The entertainment will be purely literary and musical. There is not an empty store in town and very few empty houses. Last Thursday night it froze more house plants than on any other night of the season. Prof. F.A. Allen, of Elmira, was in town on Friday. Foster Starkey finished his school at Morris last Thursday and returned home. The public schools were closed yesterday, the teachers attending the Association at Tioga. Rev. Mr. Earley has severed his connection with the Baptist Church. He will go to Massachusetts to continue his work. The St. James rectory is still empty. G.S. Ross now drives the ( ) team.